The Russian space program gets a lot of credit for flying the first woman in space. In fact, the Soviet Union flew the first two women: Valentina Tereshkova in 1963 and Svetlana Savitskaya in 1982. NASA waited until the space shuttle era before selecting female astronauts, and Sally Ride did not become the first American woman in space until 1983. However, since Ride broke the US space gender barrier 35 years ago, 50 other American women have flown into space. By contrast, just two other women from Russia have flown into space since then, Yelena Kondakova (1994 and 1997) and Yelena Serova (2014). Two women from China, Japan, and Canada have also flown into space, as well as one woman each from the countries France, India, Italy, South Korea, and the United Kingdom. This disparity seems likely to only widen in the future. Of NASA’s last two astronaut classes, in 2013 and 2017, nine of the 20 chosen candidates were women. Of Russia’s last two classes in 2012 and 2018, just a single woman, Anna Kikina, was picked. Selected in 2012, Kikina was subsequently expelled from the cosmonaut corps in 2014 for unspecified reasons. After a public outcry, Kikina was reinstated, but it is not clear whether she will ever fly. “It is hard to say if she will be assigned or not–not because she is a woman, but because Roscosmos has a number of cosmonauts awaiting a first flight,” said Robert Pearlman, owner of CollectSpace. None of Kikina’s fellow 2012 class members have flown yet (or even publicly been assigned to flights) as there are veterans still waiting to fly again. The crewed Soyuz launches four times a year, and each typically carries one cosmonaut. Russia’s active corps has 29 cosmonauts, and Kikina is the only woman left after Serova retired. 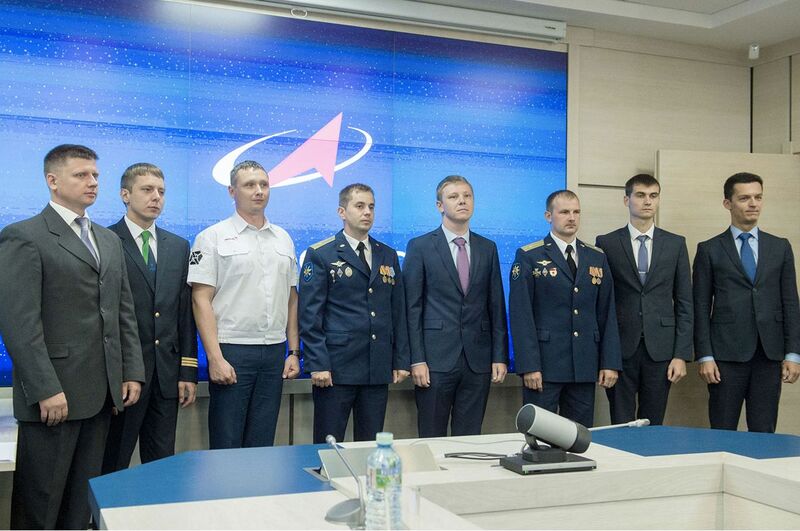 Russia announced its most recent class of cosmonaut trainees last week: eight men chosen from a pool of 420 applicants. (This pool was not broken down by gender). Privately, some NASA astronauts who have worked with Russian cosmonauts say that in Putin’s Russia, women just aren’t viewed as suitable for spaceflight. However, others say that rather than a sexist sentiment, there are just different cultural norms. “It’s a very different culture,” said one former NASA astronaut who has flown with Russian cosmonauts in space. “I think the Russians would love to hire a woman, and they have hired a few, if for no other reason than to avoid bad perceptions. But my feeling is that culturally, ‘cosmonaut’ is not a profession that most Russian women would want. Regardless of the reason, some spaceflight analysts worry about the message that all-male cosmonaut classes and crews send to women in the sprawling country of Russia. Because of who they are, astronauts and cosmonauts have the power to change culture just by doing their jobs, said Laura Seward Forczyk, the owner of Astralytical, a space consulting firm. “From what I understand, the current culture of Russia is not supportive of women in high-powered careers,” she said. “Female astronauts by their very presence can make a statement that women do belong just as much as men. To change the perception of males being more suited to space than females, the current generation of Russians needs to see that women are just as equal to the job as men, especially as they look forward to the future, Forczyk said. “Foreign female astronauts aren’t as powerful of a witness.